It would take almost your entire stay in Stockholm to experience everything Södermalm has to offer. This hip neighbourhood has hotels in all price categories and stylies - but one thing they all have in common is that they're within walking distance of Söder's lively street life, restaurants and shops. The hotels reflect the different feel of each different area of the neighbourhood. From arty Mariatorget to leafy Långholmen - here are Södermalm's best hotels. Named after the cinema in the same building, Hotel Rival opened in 2003 and was called Sweden's first boutique hotel. 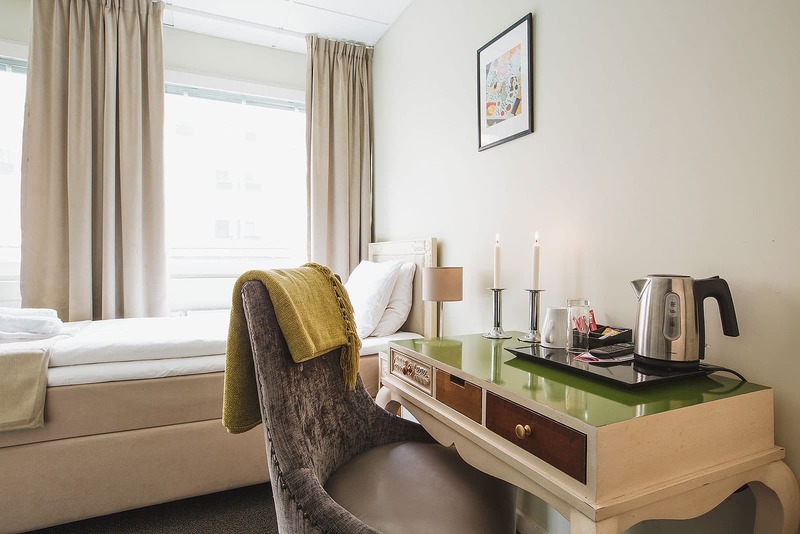 Its location directly on leafy Mariatorget and the arty end of Hornsgatan adds to its atmosphere, but the hotel's art deco decor and bistro, bars and lounges are also part of its charm. Scandic Malmen is a well-known name in musical circles thanks to its excellent live performances. But "Malmen" is interesting in other ways too. The building right next to Medborgarplatsen was built in 1951 and is typical of the modernistic architecture of the time. The restaurant, bars, location and the barbershop in the lobby make it a favourite Södermalm meeting place. 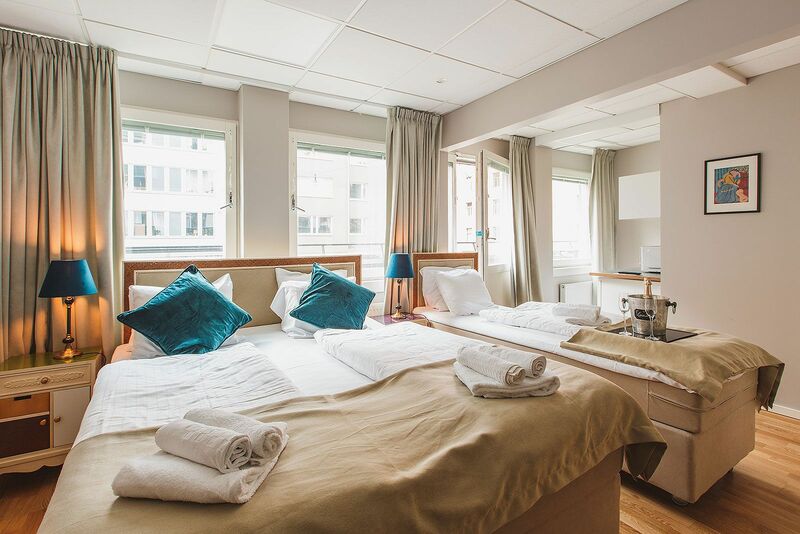 In the trendy Sofo (south of Folkungagatan) area of Södermalm you'll find this budget-friendly little hotel perfectly placed for restaurants, shopping and culture. Check in for a weekend or stay for a few days for a real Stockholm experience. The hotel also has its own restaurant, Pazzi, which serves a breakfast buffet, pasta and pizza. Like its other sister hotels in Stockholm, Hellstens Glashus hotel is housed in an historic building. There's no longer a glassworks behind the high glass facade on Mariatorget, but instead an intimate hotel with a mix of industrial elements and modern design. There are 48 rooms of varying sizes and the restaurant Glashuset Bar och Restaurang. The boutique hotel NOFO is situated, as the name suggests, north of Folkungagatan and international retro influences charactise the style. The hotel also boasts its own wine bar and a breakfast buffet that includes homemade bread and other delicacies. Don't miss the charming inner courtyard in the summer. 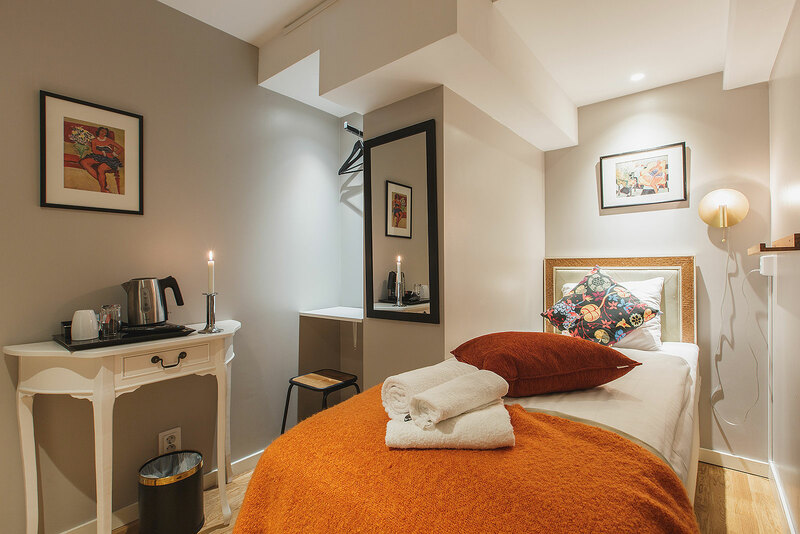 If you're after a slightly more simple, bed and breakfast-style type of hotel, Hotel Hornsgatan on Mariatorget could be just the spot. Expect a personal welcome, individually decorated rooms and shared bathrooms in the corridor. A good alternative if you want to lower your accommodation costs a little. 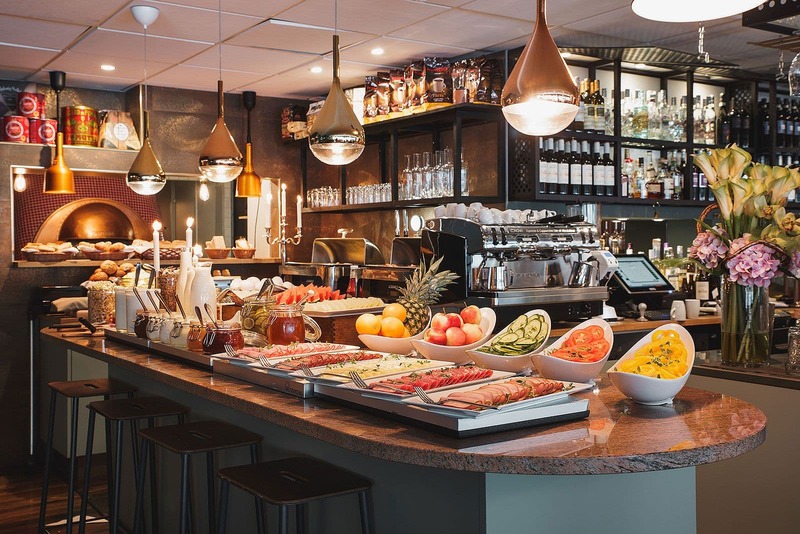 With views over the entrance to Stockholm harbour, it's not surprising that Scandic's sister restaurant on Katarinavägen is called Sjöfartshotellet, 'The Seafaring Hotel'. Built in 1964, the hotel has 212 bedrooms and boasts a popular roof terrace with a bar. Breakfast is served in the Lighthouse restaurant which is also open for lunch and dinner. The silhouette of Riddarholms church and the City Hall - the four-star Hilton hotel on Slussen has spectacular views over both of these iconic Stockholm buildings. The building was finished in 1989 but it wasn't until 2002 that it became part of the Hilton chain. Breakfast is served in the Panorama restaurant, but there's also another restaurant Eken Bar & Matsal in the hotel, as well as a terrace open during the summer months. From having once been an island that put the fear of God into the hearts of Stockholmers, Långholmen has been transformed into one of the city's most beloved spots. You can now spend the night and have a fantastic meal in this former prison. Since 1975 the building has been a great destination with a hotel, youth hostel and restaurant. 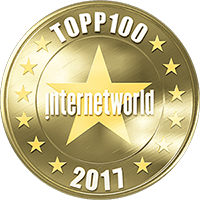 Check in here if you're interested in a captivating night's sleep. 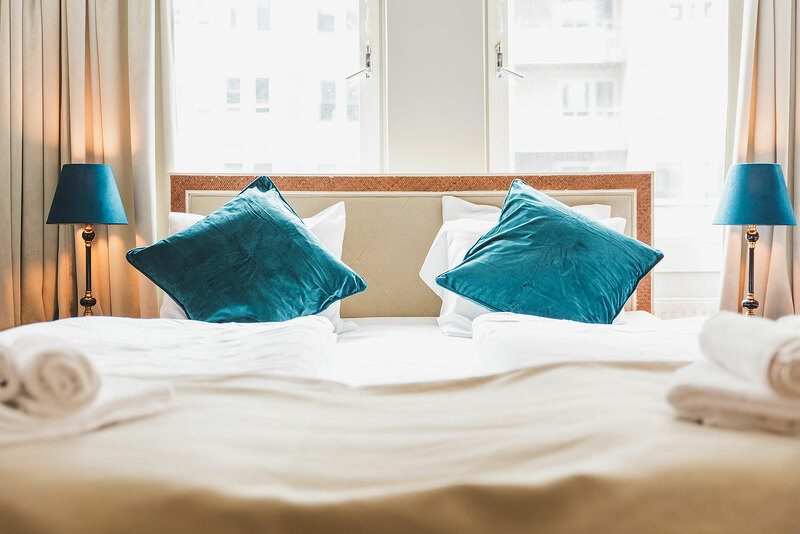 The guide to the best hotels in Södermalm is updated regularly. Email us at hello@thatsup.se if you know of any really good hotel in Södermalm which we've left out and ought to include. Please also let us know if you spot any errors in the guide. Otherwise, we hope you have a very pleasant stay at whichever hotel you choose to stay at.